Weifang Shengde Petroleum Machinery Manufacturing Co., Ltd.
Weifang Shengde Petroleum Machinery Manufacturing Co.,Ltd is a specialized company who integrates the research and development, design and production in terms of oil and gas drill and extraction equipment and tools. It is the Tier one suppliers for China National Petroleum (Group) Corporation, China Petroleum & Chemical (Group) Corporation in petrol drilling machinery manufacturing. The company always adheres to the principle of technology, integrity, people-oriented, which makes us achieve a leap in the development. The company has passed ISO9001 certification and API certification in 2006 with the honor of [Shandong Province High-tech Enterprise", Advanced company in abiding by the contract and keeping promises", and so on. The company has made dozens of national patents, some of which obtains the provincial and municipal outstanding new product award. IN 2010, it got the National Technology Innovation Fund for Small and Middle Enterprise. 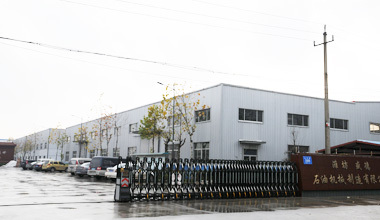 The company now has more than 200 employees, in which there are more than 40 engineers and technicians; The Company has all kinds of advanced production and testing equipment with mains products of series of down hole motors, screw oil pumps and PDC bits. The quality of products is leading at home and abroad. The production capacity has reached 2,000 sets of down hole motors series, 800 sets of screw oil pumps series, Products are sold to domestic and foreign markets with widely praise and recognition from customers. 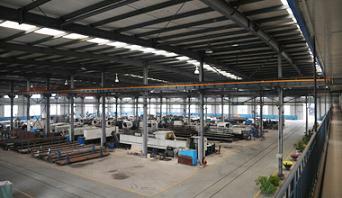 Company Name: Weifang Shengde Petroleum Machinery Manufacturing Co., Ltd.